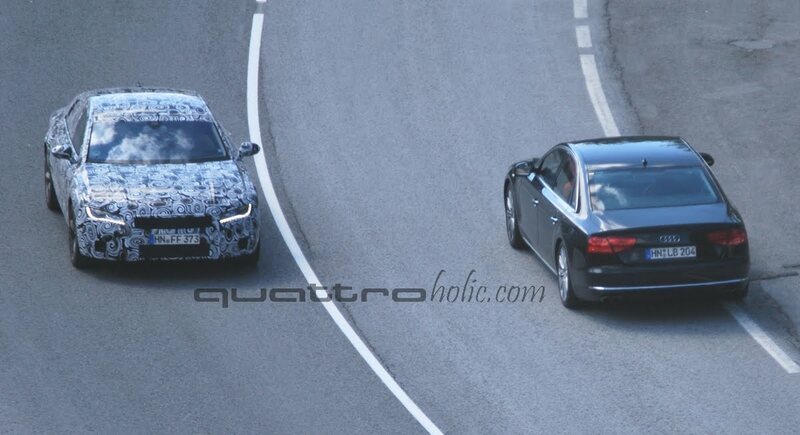 Needless to say, our European spy photographer has been very busy snapping photos of various Audi test mules lately. 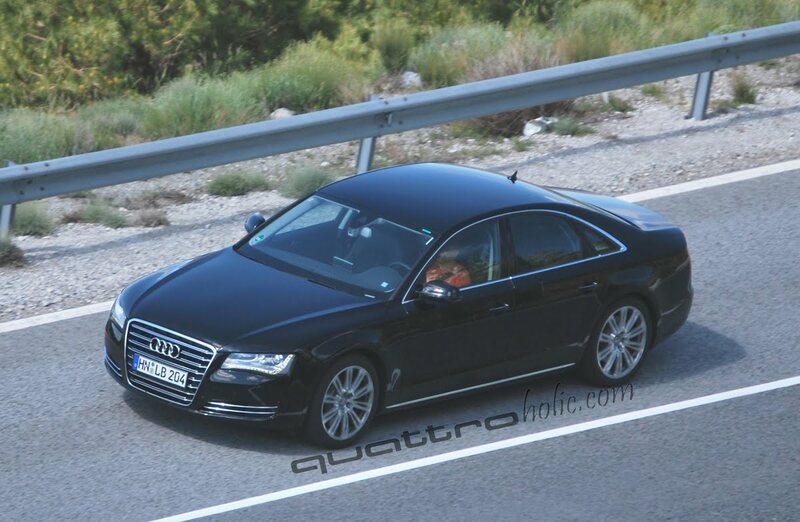 Rounding out our lot of new spy shots (following the new RS3 and A7 photos) is a sight of what may be a next-gen Audi S8 test mule performing hot weather exercises with an Audi S7 in Sierra Nevada, Spain. 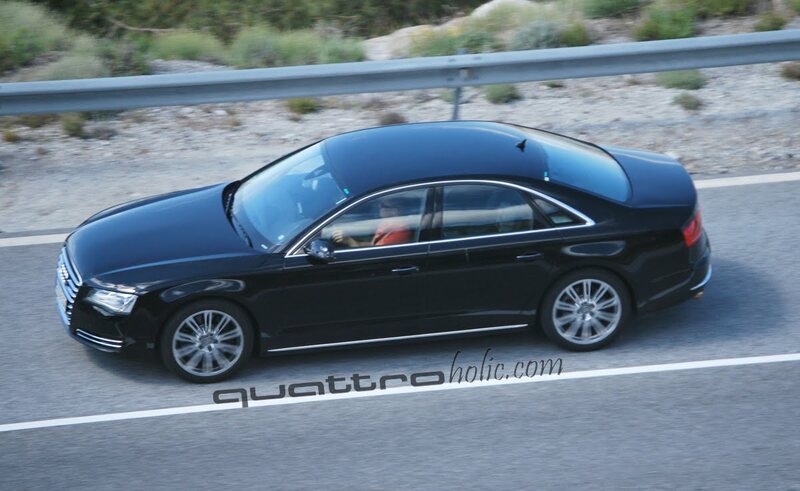 Though appearing to be a production A8 W12, this car's different lower front fascia (no fog lights) and quad exhaust point to a possible S8 drivetrain. 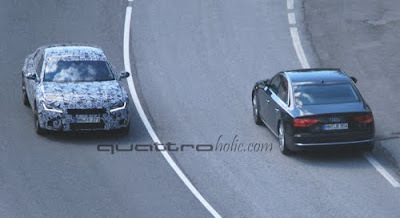 Another clue is that quattro GmbH cars typically carry "HN" license plates (Heilbronn-Neckar) vs. Audi's "IN" (Ingolstadt) plates. 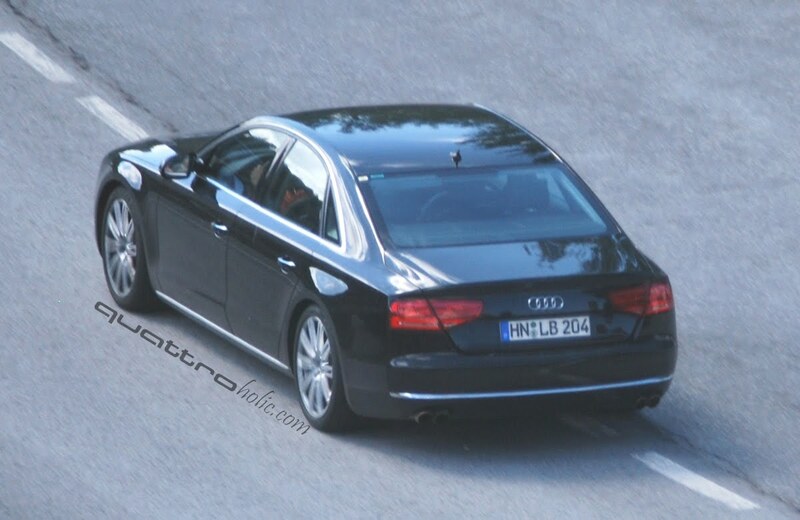 As far as the next-gen S8's engine (D4) is concerned, current speculation has been pointing to a new twin-turbo 4.0T V8 powerplant, rumored to produce around 450 horsepower. We also wanted to point out how the last photo in the gallery offers a great comparison showing the S7's size next to the 'S8'. 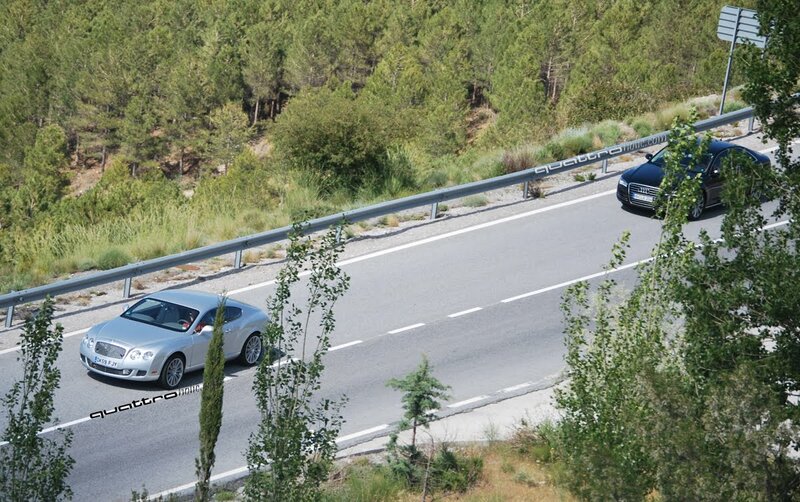 As for the fifth photo in the gallery, we're not sure what the story surrounding the Bentley Continental GT is. Although the car is certainly not out of place considering Bentley is also owned by Audi's parent, VW. 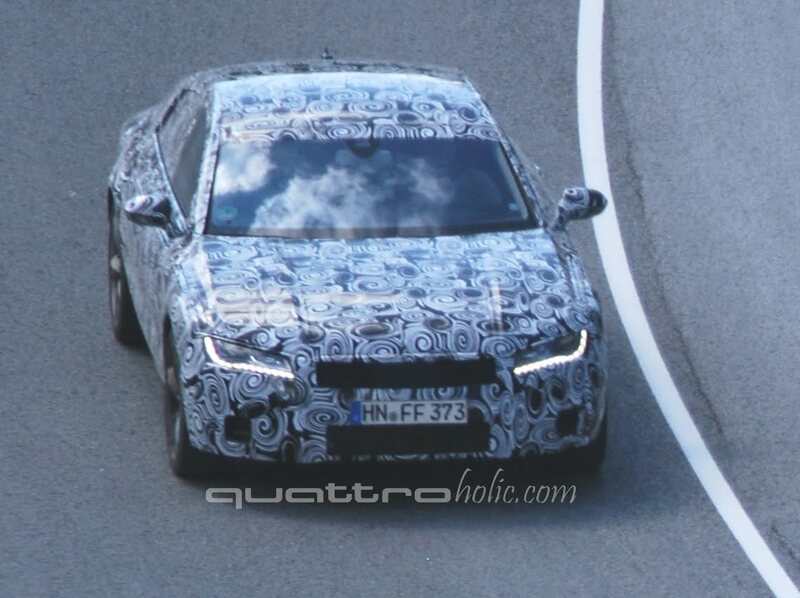 As always, spy shots carry a heavy dose of speculation. So please, take all spy photos and speculation with a grain of salt.